Bloom Color: Pinkish white flowers. 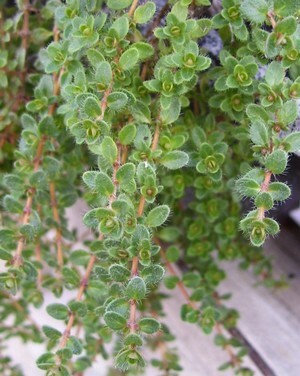 Description: Forms dark green wooly mat with tiny pinkish-white flowers, good for rock gardens or borders. Excellent for filling space below taller plants. Fast grower. Care: Cut back stems after flowering to help plant maintain vigor.